Background/Info: Swiss formation Sleepwalk celebrated their 25th anniversary in 2017. Well, I’ve been one of the lucky ones who has been following this band since their early years when they were still releasing music on cassette format. Five years have passed since their last album (cf. “Nibiru”). The previous album also was the start of a new era for Sleepwalk as singer Oliver Spring left the band and got replaced by Andreas Lehmann. Core member Bruno Ruch remains the main protagonist and compositor. Content: “Tempus Vincit Omnia” saw Sleepwalk composing one of their most sophisticated works to date. 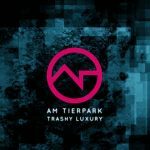 The mix of EBM and dark-electro has been never that harmonious, but I was really impressed by the great sound treatments mixing refined bleeps, bombastic arrangements and dark atmospheres. The vocals of Andreas Lehmann are in perfect harmony with the music. Notice by the way that Oliver Spring (now active as singer with Nine Seconds and Teardown) is singing on one track from this album. 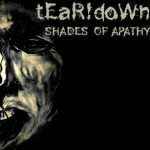 The second disc features a few extra cuts, but mainly remixes by a real interesting list of bands such as Seven Trees, Terminal State, Pyrroline, KIFOTH, Atropine, Second Disease, kFactor, No Sleep By The Machine, Tri-State, Trilogy and Amorphous. + + + : I already mentioned the sophisticated writing of this album, which really impressed me. 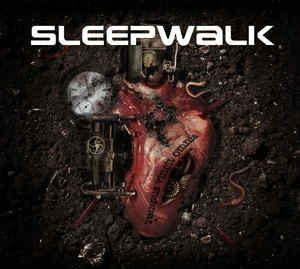 Sleepwalk is a band that has progressively improved most of the productions aspects, but this album is without a shadow of a doubt, my favorite one. The songs have been accomplished, with power, overwhelming choruses and brilliant sound treatments. The global energy emerging from the album reminds me now and then to earlier In Strict Confidence. There also is a great symbiosis between EBM and dark-electronics. Sleepwalk also strikes back with 16 new cuts that have been featured on the main disc and 5 extra tracks on the B-disc. Two songs featured on the second disc are absolutely great and recommended. Last, but not least I heard a few noticeable remixes accomplished by KIFOTH, Atropine and Amorphous. – – – : One thing is for sure, you definitely have to like Sleepwalk because this album is a consistent listening featuring a total amount of 31 cuts! I expected a bit more from the remixes. Conclusion: Sleepwalk strikes back with their most successful album to date! They don’t innovate when it comes to the music, but have accomplished a masterpiece when it comes to the writing and production. Best songs: “Degeneration”, “LSD”, “#fck pplsm”, “Dark City”, “Embrace”, “Degeneration – KIFOTH Remix”, “Conscience – Amorphous Remix”, “Hypnotic – Terminal State Remix”.